The Federal Reserve just closed the book on its government-bond purchases. 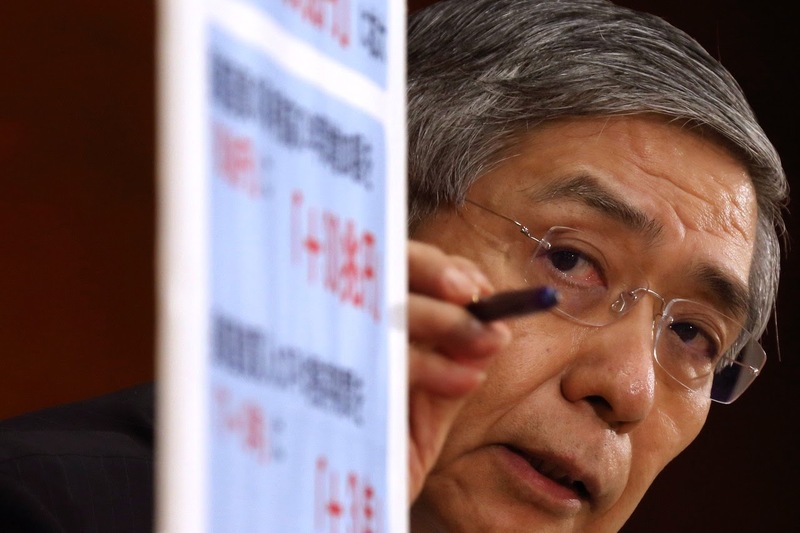 The Bank of Japan on Friday vastly expanded its program. Now attention turns to the question of whether the European Central Bank will speed up its printing presses and start buying sovereign debt. It would be a much tougher road for the ECB. The eurozone’s central bank faces political and practical hurdles that would complicate any attempts to replicate the U.S. and Japanese programs, known as quantitative easing or QE. 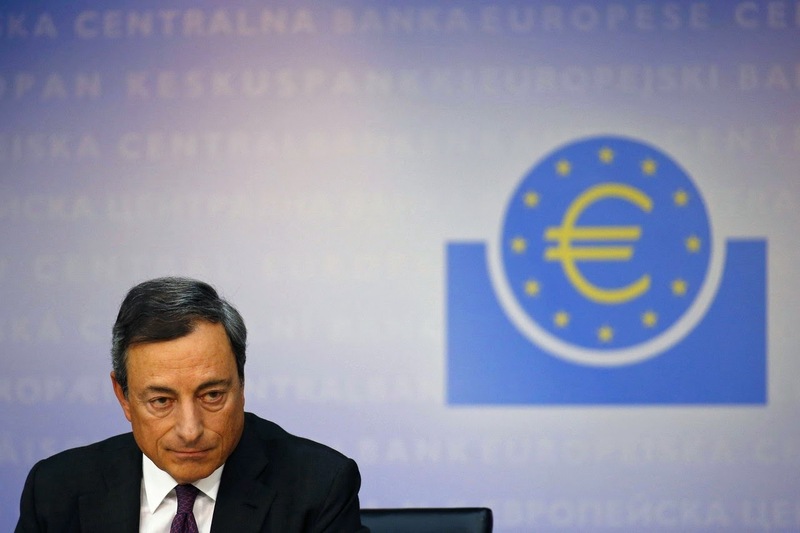 The ECB meets Thursday, but it isn’t expected to unveil new measures. At issue is whether any ECB purchases of government debt would lift inflation toward the bank’s target of near 2%. Annual eurozone inflation was just 0.4% last month. ECB interest rates can’t go lower. That leaves purchases of public and private debt as the main lever to keep borrowing costs down, boost asset prices, weaken the euro and goose inflation. The ECB is buying some private securities and is open to adding corporate bonds. Officials have flagged government-bond buying as possible, but reached no decision amid doubts such purchases would help the economy without supportive government measures. One problem: Buying debt in private markets may not generate enough assets to meet ECB President Mario Draghi ’s goal of steering the central bank’s balance sheet toward early-2012 levels. That implies a rise of as much as €1 trillion ($1.25 trillion) from just over €2 trillion now. When central banks expand their balance sheets—the total value of their assets—they effectively pump new money into the economy in hopes of spurring activity. ECB bond buying started slowly: It purchased €1.7 billion in covered bonds—bank bonds backed by underlying collateral—in the first week. The eurozone’s nearly €7 trillion government-bond market would solve that problem. But many ECB officials are loath to take that step, instead eyeing asset-backed-securities purchases starting this month and the next batch of bank loans in December. “I don’t think we should in the next few months be considering things like public-sector bond purchases,” though they should be studied just in case, said ECB member Ardo Hansson, who heads Estonia’s central bank, in an interview last week. Austria’s central banker is hesitant, saying more government investment is a better idea. Germany’s Bundesbank firmly opposes buying government bonds. And no one at the ECB is publicly making a forceful case for buying them. The reasons are twofold. The policy is deeply unpopular in Germany, where it stirs fears of central banks printing money to finance runaway public spending. Opponents also say there is little evidence it would help the weak eurozone economy. Fed bond buying nudged long-term U.S. interest rates lower, in part because so much borrowing in the country is financed through capital markets. Europe’s financial system is bank-based and therefore would be less responsive to quantitative easing, skeptics say. There are other problems that bond buying wouldn’t affect. Tax and spending policies are hampering growth in France and Italy. Measures to boost Europe’s growth potential have been largely avoided. Quantitative easing “is no magic wand,” said RBS economist Richard Barwell. “It’s only about credibility” for the ECB as a central bank determined to meet its inflation goal. Europe has already had a dry run of sorts with quantitative easing. Mr. Draghi’s pledge in July 2012 to do “whatever it takes” to save the euro, backed by a bond-buying plan that hasn’t been used, led to lower bond yields across the eurozone. In other words, the ECB got quantitative easing-like effects on bond markets without spending money. But the economy saw little benefit. If inflation stays near zero, inflation expectations slide and the euro firms, the ECB may have little choice but to buy government bonds. That’s far from “whatever it takes.” But in the end it may be the best argument Mr. Draghi can muster. The Dow Jones index has moved more than 100 points up or down on many trading days over the past four weeks, marking an impressive return of stock market volatility . Yet the broader implications are far from clear, if only on account of the different possible causes. Markets care about two-way volatility because it influences portfolio construction. The lower the volatility, the smaller the probability of traders being stopped out of positions by rapid price fluctuations, and the greater the enticement to pile on risk. It is therefore not surprising that four years of repressed volatility have encouraged risk-taking beyond what is warranted by the underlying fundamentals. Indeed, an objective of unconventional monetary policy is to suppress volatility in order to bolster asset prices and trigger positive economic responses on the part of (now wealthier) households and (now more motivated) companies. In other words, to promote higher financial risk-taking not as an end in itself but as a means to bolster greater economic risk-taking. In this context, the recent fluctuations in the Dow Jones index are particularly noteworthy, as they come after a period of unusual market calm in the midst of geopolitical tensions and economic surprises. There are three possible explanations, with differing economic and market implications. First, the volatility is the result of one-off disturbances elsewhere, the impact of which is both temporary and reversible. Second, it signals an upcoming policy transition in which some central banks no longer seek to repress volatility to the same extent, while others do. Third, it reflects central banks’ growing collective inability to achieve that effect. In the first scenario, it is only a matter of time until central banks are again able to contain volatility. In that case, recent fluctuations in the Dow Jones can be seen as noise rather than signals. They would not point to any significant economic or policy inflection points, with the world remaining in a low-level growth/policy equilibrium. Moreover, with little spillover to interest rate volatility, there would be no immediate worries about the outlook for government bonds or risk assets such as equities . In the second case, recent volatility signals a higher likelihood of orderly policy changes induced by economic development. With the US economy continuing to heal, the Federal Reserve would look to normalise its policy approach, reducing even faster what has been a prolonged reliance on unconventional instruments – particularly in light of growing concerns about the implications for inequality, excessive risk taking, market functioning and, therefore, financial stability down the road. In this scenario, the Fed’s confirmation last week that it is ending its programme of large-scale asset purchases would be followed by gradual interest rate rises. The initial volatility signalling this policy transition would give way to renewed stability in the context of a firmer foundation for risk assets: that of an economic recovery underpinned by stronger fundamentals rather than unconventional policies. Meanwhile, interest rate volatility would also edge higher, making bonds less attractive, but marginally so as interest rates would rise in a muted manner. The moderation of equity volatility in these two explanations means there would be no need for markets to downwardly adjust their expectations of future returns on risk assets, especially if other central banks are doing more (as was the case last week with the Bank of Japan and soon with the European Central Bank). Not so under the third explanation, which speaks to declining policy effectiveness. Here, central banks are less able to counter the cumulative impact of economic, geopolitical and social forces. This means equity volatility would revert to higher long-term historical averages. For now, consensus has embraced the first explanation, both outright and as the ongoing transition to the second state of the world. This has led to an impressively quick and strong recovery from the losses experienced in the first half of October. Yet investors are far from relaxed about the volatility spike, and understandably so. The recovery is less to do with convincing facts on the ground and more with repeated market conditioning during a prolonged period of experimental central bank policy. For the 5th day in a row, "someone" has decided that 0030ET would be an appropriate time (assuming the 'seller' is an investor who prefers best execution rather than the standard non-economically-rational share-repurchaser in America) to be dumping large amounts of precious metals positions via the futures market. Tonight, with over 13,000 contracts being flushed through Gold - amounting to over $1.5 billion notional, gold prices tumbled $20 to $1151 (its lowest level since April 2010). Silver is well through $16 and back at Feb 2010 lows. The USDollar is also surging. As The USD pushes higher. TOKYO — The Bank of Japan, this country’s equivalent of the Federal Reserve, has lately been making a big effort to end deflation, which has afflicted Japan’s economy for almost two decades. At first its efforts — which involve printing a lot of money and, even more important, trying to assure investors that it will keep printing money until inflation reaches 2 percent — seemed to be going well. But more recently the economy has lost momentum, and last week the bank announced new, even more aggressive monetary measures. I am, as you might guess, very much in favor of this move, although I worry that the policy might nonetheless fail thanks to fiscal mistakes. (More about that later.) While the bank did the right thing, however, it did so amid substantial internal dissent. In fact, the new stimulus was approved by only five of the bank board’s nine members, with those closest to business voting against. Which brings me to the subject of this column: the economic wisdom, or lack thereof, of business leaders. Some of the people I’ve spoken to here argue that the opposition of many Japanese business leaders to the Bank of Japan’s actions shows that it’s on the wrong track. In saying this, they’re echoing a common sentiment in many countries, including America — the belief that if you want to fix an ailing economy, you should turn to people who have been successful in business, like leaders of major corporations, entrepreneurs and wealthy investors. After all, doesn’t their success with money mean that they know how the economy really works? Actually, no. In fact, business leaders often give remarkably bad economic advice, especially in troubled times. And I think it’s important to understand why. About that bad advice: Think of the hugely wealthy money managers who warned Ben Bernanke that the Fed’s efforts to boost the economy risked “currency debasement”; think of the many corporate chieftains who solemnly declared that budget deficits were the biggest threat facing America, and that fixing the debt would cause growth to soar. In Japan, business leaders played an important role in the fiscal mistakes that have undermined recent policy success, calling for a tax hike that caused growth to stall earlier this year, and a second tax hike next year that would be an even worse error. And on the other side, the past few years have seen repeated vindication for policy makers who have never met a payroll, but do know a lot about economic theory and history. The Federal Reserve and the Bank of England have navigated their way through a once-in-three-generations economic crisis under the leadership of former college professors — Ben Bernanke, Janet Yellen and Mervyn King — who, among other things, had the courage to defy all those tycoons demanding that they stop printing money. The European Central Bank brought the euro back from the brink of collapse under the leadership of Mario Draghi, who spent the bulk of his career in academia and public service. Obviously there are business leaders who have gotten the economic analysis right, and plenty of academics who have gotten it wrong. (Don’t get me started.) But success in business does not seem to convey any special insight into economic policy. Why? The answer, to quote the title of a paper I published many years ago, is that a country is not a company. National economic policy, even in small countries, needs to take into account kinds of feedback that rarely matter in business life. For example, even the biggest corporations sell only a small fraction of what they make to their own workers, whereas even very small countries mostly sell goods and services to themselves. 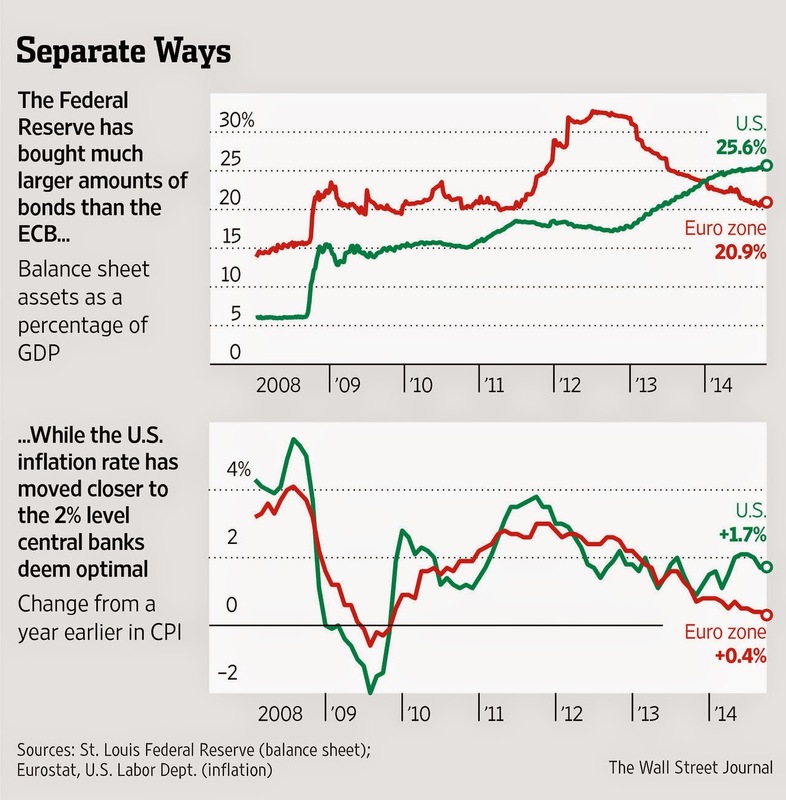 More QE can’t make up for fiscal and regulatory blunders. Give Japanese central banker Haruhiko Kuroda credit for showmanship. The Bank of Japan ’s (BOJ) move Friday to expand its quantitative easing program promptly sent the Tokyo stock market to a seven-year high, and the yen to a six-year low around ¥112 per dollar. But better not peek behind the curtain at this wizard of ease. Mr. Kuroda felt it was necessary to rescue an economy that is still floundering despite previous bouts of QE. Economists expect growth of 0.2% for the current fiscal year. Inflation is slowing to around 1% excluding the effects of an April consumption-tax hike, short of the central bank’s 2% target. Household spending is down, and there are signs the job market is softening. The BOJ’s solution is to purchase more Japanese government bonds, exchange-traded funds and real-estate investment trusts in an effort to expand the monetary base by ¥80 trillion per year, compared to its previous expansionary target of ¥60-70 trillion. It’s a brave attempt to conjure inflation out of Japan’s deflationary cauldron of abysmal government finances, unreformed labor markets, cosseted domestic industries and aging population. Mr. Kuroda and Prime MInister Shinzo Abe are still incanting from the spell book promulgated by the International Monetary Fund. The recipe consists of Keynesian spending blowouts of the type Tokyo attempted for two decades at the expense of deteriorating government finances and growing debt; higher taxes to pay for that spending, such as the April value-added tax increase to 8% from 5%; and then monetary easing and currency devaluation to counter the damage to growth from the tax increases. Japan’s opening round of QE in 2013 was arguably needed to break a long period of deflation. But now it has become a crutch to let Mr. Abe avoid following through on his long-promised “third arrow” of economic reform. A free-trade agenda that was supposed to open Japan to more competition is stalled. Labor-market reforms that would increase flexibility in hiring and firing and encourage productivity gains are off the table, as is more immigration to counter the economic drag of a declining population. If this sounds like European leaders who browbeat the European Central Bank while never delivering reform, you’ve broken the code. Monetary policy by itself can’t overcome bad fiscal and regulatory policy. Although currency depreciation gives exporters a boost to yen-denominated earnings, without economic reforms to spur greater investment and efficiency companies continue to lose global market share to competitors. At least foreign shareholders win big from the asset-price bubble that QE creates. Investors may thus celebrate Mr. Kuroda’s latest conjuring trick, but soon enough they’ll demand another miracle. Expect the calls to grow especially loud if Mr. Abe pushes forward with the next scheduled increase in the consumption tax—to 10%—next year. The question is how much longer this can continue before Messrs. Abe and Kuroda run out of monetary tricks and investors notice the absence of economic growth behind the smoke on stage. Unless you spent the last few weeks in a Halloween candy coma you probably already know the stock market has been on a tear. Since the lows of October 15 the S&P 500 (^GSPC) is up just under 11%. It was the biggest two week rally since 2011 and October's reversal was among the most dramatic in the last century. For the year the S&P 500 is up 9.2%. 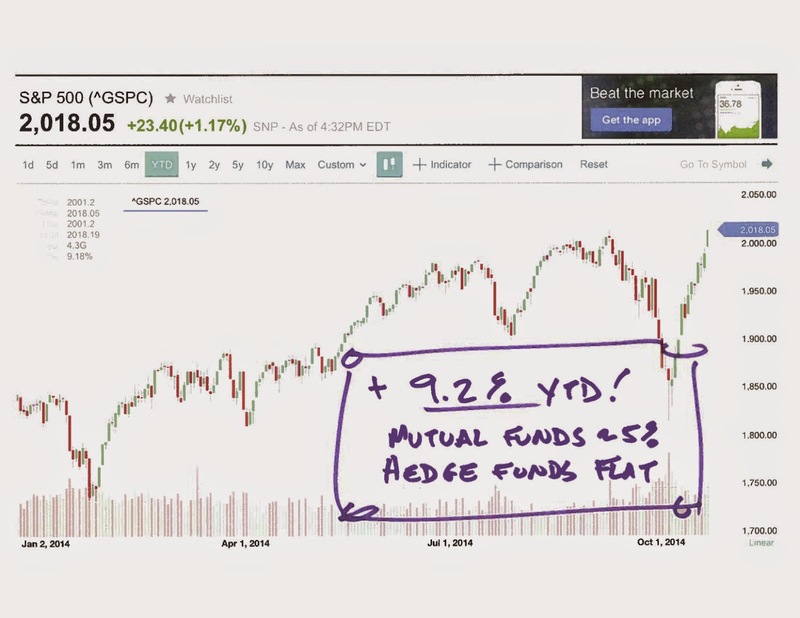 That's about double the return of the average mutual fund. And hedge funds? Forget about it! According the the best available data from that still murky industry the average buy-side shop is lucky to be breaking even this year. If you're a long term index investor this doesn't matter to you, but I can personally guarantee anyone running money professionally is starting to feel like a fraternity hazing victim right now. If you're running a hedge fund that's flat for the year you've got less than two months to save your job. Unless you're one if those 10-20 huge brand names like Ackman or Einhorn your investors are going to take away the money unless you kick it into gear in a huge way starting now. Historically speaking the only way to catch up is going to be chasing stocks higher. November, December and January are stronger than any other three month period. Since 1928 those months have nearly doubled the performance of any other period. Oh yeah, there are also midterm elections which, for whatever reason, have a tendency to absolutely light a fire under stocks. None of this is an excuse to chase. As we say so often around here, most people shouldn't be trading much, if at all. The point is simply that stocks being expensive and "due for a pullback" aren't really trading catalysts. They're excuses. For what it's worth I made exactly one trade last week: I added to my Facebook (FB) long position on the post-earnings sell-off. That's not advice, it's a disclosure. My advice is simply this: buckle up into this week and beyond. After a wild October the safest stock bet right now is that things are about to get deeply weird. Too many "reasons" for a gold rally have failed. Frustration is setting in for metals bulls. WARNING: This article contains content which may be difficult for die-hard gold-bugs. 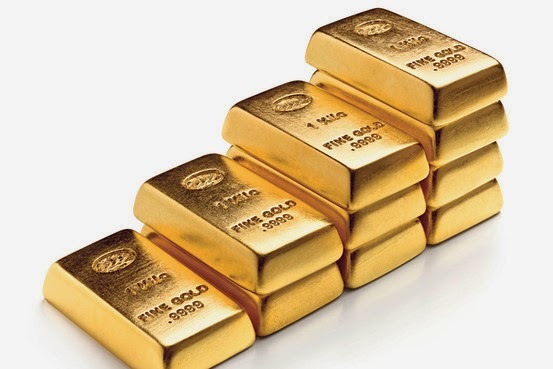 Over the last 3 years, we have heard a multitude of reasons as to why gold will rally. Many have pointed to China, India, Russia, Crimea, quantitative easing, conflicts in the middle-east, seasonality, the expected crash in the US Dollar, etc. And, recently, many have even stretched their fantasies to expecting that the Ebola crisis will cause gold to soar. But, as we now know, none of these reasons have caused the rally so many have been expecting. You know something? Your article is so well written, so "clean", and so logical constructed, that it can only be WRONG. Each time I've trusted in this kind of speech, I've lost money. I suppose we might as well add Russian gold buying to the never-ending list of failed reasons why gold should go up. After 3+ years, it seems these commenters have finally figured out what most analysts still have not: the metals market is not driven by reason or logic. You can present as many logical arguments as you want to the market, but gold is just not listening, nor does it really care. Think about it. 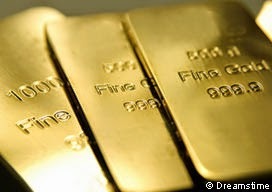 If the market was really driven by logic, would we not employ the talents of logicians to divine the direction of gold? When was the last time you saw someone recognize a logician for their accurate analysis on the price movements of gold? But, sadly, it has taken significant losses for many to finally begin to figure out that these "reasons" simply have no effect upon the metals, even though I have been trying to enlighten readers for the last three years that the true driver of the metals' movement is market sentiment. And, as many of you know, I love quoting Ben Franklin, who supposedly coined the term "pain instructs." Unfortunately, it has taken "pain" to cause some investors, like the ones quoted above, to finally open their eyes. But, amazingly, many still refuse to see the truth, despite the amount of pain they are currently enduring. They continue to come up with excuses, such as "manipulation," or, as we have seen lately, "the market got it wrong," which are truly akin to placebo-type salve applied to their open wounds. "I'm not a Gold Bug Basher, but I am amused every time that when Gold goes up it validates the bugs but when it goes down it's either irrelevant or a conspiracy. . . Sometimes I wish I was a Gold Bug because I would NEVER be wrong (regardless of what Mr. Market told me)." This commenter is clearly speaking of "bugs," such as the likes of Sprott or Schiff, who are always presenting the latest and greatest reasons as to why metals will gap up by 50% overnight. Yet, silver has now lost almost 70% of its value from its 2011 highs, while they were strongly suggesting you buy it at the 2011 highs, and all the way down since that time. You see, when markets are going up, anyone who is always bullish is looked upon as a genius. So, they gained credibility because they were bullish while metals were going up. And, when markets are going down, anyone who is always bearish is then looked upon as the latest and greatest "genius." This is simply how market analysts, advisors and prognosticators are viewed, and it is a result of human nature. But, does anyone question why the bullish "genius" did not recognize the signs of reversal? If they really understood the market to the extent to which the public formerly believed and trusted, should they not have been able to see the correction coming? But, now that the market has moved in the completely opposite direction, the former "geniuses" are now viewed by most as buffoons. And, the funny thing about the market is that once we begin the next rally higher, these "geniuses," turned buffoons, will then be viewed as geniuses, once again. Ah, the life of a perma-anything-analyst. And, if you really wanted to dig even deeper, you may even contemplate the following proposition. We know that metals perma-bulls provide you with the same reasons over and over as to why the metals will rally to new all-time highs. Yet, the metals continue to fall, with silver falling 70%, despite all these "reasons" it should rally. But, when metals turn around and begin to rally strongly, will their cited "reasons" have changed? Clearly, the answer is "no." So, one who is being intellectually honest should be asking themselves "what has really changed in this circumstance if the reasons have not?" And, as you know from me for the last 3+ years, the only thing that will have changed is market sentiment. Therefore, one should be coming to the logical conclusion that the reasons are not pushing gold higher or lower - as they are the same reasons that were there when gold went up or down - but it is truly sentiment which has been the driver of gold the entire time, both up and down. Reasons, or as most refer to it, "fundamentals," do not control metals. Again, pain should have finally led you to this conclusion if you were not willing to accept it years ago. Therefore, to be bluntly truthful and honest about this, it should not be considered "genius" to maintain a single perspective all the time, as the market will always move in the opposite direction of your perspective, in addition to with your perspective. Is there any true genius in that? Markets are two directional, and one has to be able to recognize changes of direction early enough so they are not holding an asset for a 70% haircut. So, I have always taken the position that investors should ignore anyone and everyone who is a "perma-anything." I mean, do you really need to ask a perma-bull when to be buying? You know their answer is "always." So, why even bother reading them? Well, if they want to admit it or not, the main reason people read them is to make themselves feel better about being in a losing position. As we all know, misery loves company. And, these perma-bulls or "bugs" will always validate your losing perspective. They will tell you that you are smarter than everyone else in the market for holding on to your 70% loss position. They utilize fear tactics to imprison you within their vortex of insanity, promising you that, tomorrow, modern civilization will cease to exist as we now know it and your gold will skyrocket because of it. But, are you investing to feel good about your "losing" position? Are you investing to feel like you are smarter than everyone else, even though you are losing money? Or are you investing in metals to increase or protect your relative net worth? Hopefully, pain will instruct you too before it is too late. And, if not, then consider giving your money away to charity, because at least then you would be benefiting society with your desire to part with your money. But, I digress. So, please allow me to move on to the main point of my article. For all of you who have completely ignored my warnings for the last three years about allowing news stories to shape your metals investments, this update is dedicated to you. I believe I have finally found a news story so important to the metals world that it must cause a rise in gold. Even I cannot ignore the serious implications of this story. It is something that is so earth-shattering, that gold must soar to $2000+ overnight. Yes, folks, I have discovered THE news story that will force gold to surge skyward. I sincerely hope you are sitting down, because this "reason" has a significantly greater probability at moving the price of gold than any other reason which has been paraded before you over the last 3+ years. Mr. Sprott and Mr. Schiff, are you listening; do I have your attention? It was reported that a NASA satellite has supposedly captured pictures of a UFO, the size of the earth, hovering around the sun. Yes, this is THE news event that will cause gold to rally. My friends, aliens want our gold. They are on their way to the earth, and when they arrive, they will try to take all our gold. So, I beseech all who read my articles to do what you can to hide your gold from the aliens. Whatever gold they will not be able to find, and will be left here on earth after they leave, will be worth a fortune. So, this is likely going to be the catalyst which will cause gold to rally to $5000+, like many have been claiming will happen for so long. But, their problem was that they did not know the "real" reason that would cause this price appreciation. So, remember, you heard it here first. Consider yourself forewarned. Now that we know the true reason as to why gold will soon rally, let's look at how we think its price will bottom first before the aliens get here, because, trust me, aliens love sales. Last weekend, I noted that silver had a much clearer downside set up, and said that gold was a bit more questionable. But, I also noted that if GLD would follow through on its set up, it should take out the 2013 low. So, as the week began, and the set up became more clear, I began putting out charts noting the downside set up, along with resistance levels, which, as long as we remained below, would keep the pressure on the metals to the downside. In fact, on Thursday afternoon, before the market closed, I sent out a Market Update to subscribers of Elliottwavetrader.net stating that "we have a potential gap down set up in place which can see us breaking below the 2013 low either tomorrow or early next week. As long as we maintain below 116.25-116.75, this is going to be my expectation." And, as we now know, the metals followed through in their downside set ups on Friday. Most importantly, what I was told would simply not happen has finally happened this past week: gold made a lower low relative to its 2013 lows. For those of you that remember, when we came into 2014, I was looking for the metals to make lower lows and potentially complete their 3+ year correction. Furthermore, earlier this month, I continually reiterated that I would like to see gold break its 2013 lows in October. And, it took until the last day of the month to do so. And, yes, I clearly had my doubts last weekend as to whether we were going to see these lows in October. But, as the week progressed, it showed us that this potential was a much greater reality. So, now, this certainly sets us up to complete this long term correction near the end of the year, with the potential to flow over into January of 2015. But, we are finally very close. So, allow me to reiterate my long term downside targets, which many of you were so certain would not be seen. Ideally, this current drop should take us down towards at least the 109/111 region, with the potential to extend as low as the 105 region. Once this downside segment of the selling has completed over the next week or so, I expect us to see a corrective rally, which can take us back as high as the break down point in the 114 region. I would guestimate that this rally would top towards the end of this month, followed by a final decline to our target region of 95-105, with an ideal target of 98. Of course, I have also noted in the past that we could see an overreaction selling phase to take GLD down as deeply as the 75 region, but, based upon the relatively muted manner in which we broke the 2013 lows, I think that is becoming much less likely at this time. Based upon the current set up, it would seem that this 3+ year correction will be ending over the next 2-3 months. That is just enough time to convince the rest of the market to give up on metals, because much of the market seems to have given up already. The question is, "will you?" And, for those that have been "instructed by the pain" of the mining stocks, feel free to come by our StockWaves trading room at Elliottwavetrader.net, as we are now putting out charts and analysis about our perspective on where many of the most popular miners within the GDX will likely see their final lows. In fact, Larry White and I will soon begin a series on Seeking Alpha discussing several of the miners we think you may want to avoid, if your goal is to outperform the GDX ETF over the next 10 years. The strongest ones we will be highlighting on our site. And, for all of you that have been attempting to email me, if you have specific questions about metals or miners, you can post those in our trading room at elliottwavetrader.net for me or any of my analysts to respond. Good luck to all, and try to persevere during this difficult time. We are getting much closer to the end of the "pain," and hopefully, you will have learned a lesson. And, keep in mind another brilliant Franklin quote: "So convenient a thing is it is to be a reasonable creature, since it enables one to find or to make a reason for everything one has a mind to do." CAMBRIDGE – Why do the comments of major economies’ central bankers command outsize attention nowadays? It is not as if they change interest rates all of the time. Nor have they developed new, more robust models for analyzing the economy. On the contrary, major central banks’ growth and inflation forecasts in the years since the financial crisis have consistently overestimated both growth and inflation – and by wide margins. There are many good reasons for the attention lavished on monetary policymakers, including the rise of central-bank independence, public acceptance of the need to appoint highly competent technocrats to oversee the money supply, and the deepening of financial markets. And many central bankers have been rightly lauded for their role in preventing a global meltdown during the financial crisis. Even so, given the numerous uncertainties surrounding macroeconomic forecasts and the effects of policy instruments (not least quantitative easing), many academics find it puzzling that central bankers’ speeches and statements generate so much fanfare. And for all of their heroics during the financial crisis, many central bankers have been far too inflexible in the aftermath, worrying too much about overshooting inflation targets, and too little about deflationary dynamics. Moreover, central bankers bear a share of the blame for the crisis in the first place, mainly owing to lax regulatory policy. Many central bankers portray former US Federal Reserve Chairman Alan Greenspan (who served from August 1987 until January 2006) as the culprit, saying that he projected an image of central-bank omnipotence that is not warranted in theory or practice. But this critique is overblown: Greenspan is long gone, but the focus on central-bank pronouncements is greater than ever. What, then, is going on? I would argue that, in addition to all of the factors listed above, three further considerations should be noted. For starters, the public perception that central bankers are omniscient makes them an attractive whipping boy for politicians. Moreover, the digital revolution in media has elevated the role of business news, one of the few profit centers for print and broadcast journalism in many countries. Central bankers’ pronouncements are of interest to businesspeople – especially in the financial sector – and businesspeople are of interest to advertisers. Finally, and perhaps least appreciated, is the fact that central-bank policy pronouncements are almost unique in having clear and predictable effects on financial markets, at least in the very short run (which can be a day or less). If Fed officials surprise markets by making more “hawkish” statements (suggesting an upward bias to policy interest rates) than investors were expecting, the dollar will usually appreciate; long-term dollar interest rates will usually rise; and the stock market typically will decline. True, these effects may be small and transitory. But, unlike most of the reams of macroeconomic information with which we are bombarded every day, central bankers’ speeches and opinions have relatively foreseeable effects, especially when the bank’s chair, president, or governor speaks, or other officials speak in concert. And, with trillions of dollars swirling around global financial markets, this predictability creates a fat target, with investors willing to make massive bets when they are pretty sure they are right, even if the profit per dollar is small. Can Emerging Markets Save the West? The usual worry about capital flows is that hot money moving from developed economies to emerging markets suddenly reverses, prompting a crisis. But it is worth thinking about this the other way round amid two fundamental shifts: the retirement of the West’s baby boomers and the increasing clout of emerging markets. One curiosity of the global economy is that developed markets, despite aging workforces, haven’t seen as much saving as one might expect. So far, savings in emerging markets have compensated for this, notes HSBC ’s Karen Ward. Based on changes in the balance of workers and retirees in the U.S. from 1990 to 2010, the savings rate might have been expected to rise by 1.2 percentage points, HSBC says. In fact, it fell by 5.2 points, World Bank data show. But in China, the savings rate has risen by 13.1 points, much more than an expected 7.7-point gain. Capital has flowed to developed economies in part because savers in emerging nations haven’t had deep markets at home to target. That has buoyed asset prices in developed markets and perhaps reduced the apparent need to save there. But HSBC argues savings have been misallocated: Too much has gone into government bonds and housing, and not enough into more productive investment. Looking ahead, as the West’s baby boomers retire, they will need to cash in their assets. But who will buy them and at what price? Younger workers in the West, indebted and employed in lower-growth economies, may not pay up. 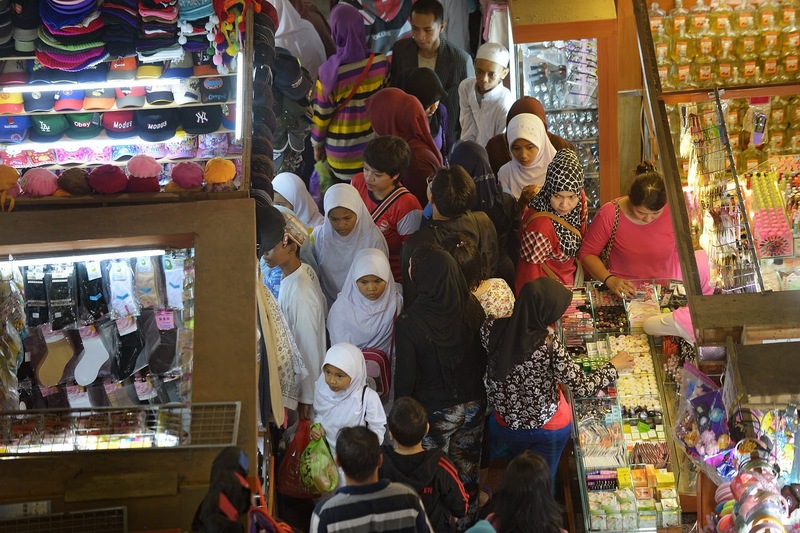 Can the increasing pool of savers in emerging markets step in again? That is far from clear. Financial systems in emerging markets are deepening, which could provide investors there with more domestic options. Prospective returns at home also may be better, particularly in bonds. Politics may well prove decisive. Savers will want to invest where property rights and the rule of law are strong. This favors the West for now. But that could easily change. Younger Westerners may object to the sale of assets to emerging-markets investors; think of first-time buyers priced out of London’s cosmopolitan property market, for example. Markets, having, grown used to free-flowing capital, may be on the cusp of a generational change. BERLIN – “War,” said the ancient Greek philosopher Heraclitus, is the “father of all things.” In view of the bloody – indeed barbaric – events in the Middle East (and in Iraq and Syria in particular), one might be tempted to agree, even though such ideas no longer seem to have a place in the postmodern worldview of today’s Europe. The Islamic State’s military triumphs in Iraq and Syria are not only fueling a humanitarian catastrophe; they are also throwing the region’s existing alliances into disarray and even calling into question national borders. A new Middle East is emerging, one that already differs from the old order in two significant ways: an enhanced role for the Kurds and Iran, and diminished influence for the region’s Sunni powers. The Middle East is not just facing the possible triumph of a force that seeks to achieve its strategic goals by mass murder and enslavement (for example, of Yazidi women and girls). What is also becoming apparent is the collapse of the region’s old order, which had existed more or less unchanged since the end of World War I, and with it, the decline of the region’s traditional stabilizing powers. The political weakness of those powers – whether global actors like the United States or regional players like Turkey, Iran, and Saudi Arabia – has led to a remarkable role reversal in the region’s power dynamic. Although the US and the European Union still classify the pro-independence Kurdistan Workers’ Party (PKK) as a terrorist organization (whose founder, Abdullah Öcalan, has been in prison in Turkey since 1999), only the PKK’s fighters, it seems, are willing and able to stop the Islamic State’s further advance. As a result, the Kurds’ fate has become a burning question in Turkey. Turkey is a NATO member, and any violation of its territorial integrity could easily trigger the North Atlantic Treaty’s mutual-defense clause. And the Kurdish question entails a potential for much wider conflict, because statehood would also threaten the territorial integrity of Syria, Iraq, and probably Iran. And yet, in fighting for their lives against the Islamic State, the Kurds have won new legitimacy; once the fighting has ended, they will not simply forget their national ambitions – or the mortal threat they faced. And it is not just the Kurds’ unity and bravery that have raised their prestige; they have increasingly become an anchor of stability and a reliable pro-Western partner in a region that is short on both. That presents the West with a dilemma: Given its reluctance to commit its own ground forces to a war it knows it must win, it will have to arm the Kurds – not just the Kurdish Peshmerga militia of northern Iraq, but also other Kurdish groups – with more advanced weaponry. That will not sit well with Turkey – or, most likely, with Iran – which is why resolving the Kurdish question will require a large investment of diplomatic skill and commitment by the West, the international community, and the countries in question. But the biggest regional winner could prove to be Iran, whose influence in Iraq and Afghanistan gained a substantial boost from US policy under President George W. Bush. Iranian cooperation is essential to stable solutions in Iraq and Syria, and the country plays an important role in the Israel-Palestine conflict and in Lebanon. It is impossible to bypass Iran in the search for solutions to the region’s myriad crises. In fact, in the fight against the Islamic State, even limited military cooperation between the US and Iran no longer seems to be off the table. The key strategic question, however, will not be resolved on the region’s battlefields, but in the various negotiations on Iran’s nuclear program. If compromise (or even a short-term extension of the current interim agreement, with a realistic prospect for a final accord) is achieved, Iran’s broader regional role will become both stronger and more constructive. But that outcome remains highly uncertain.